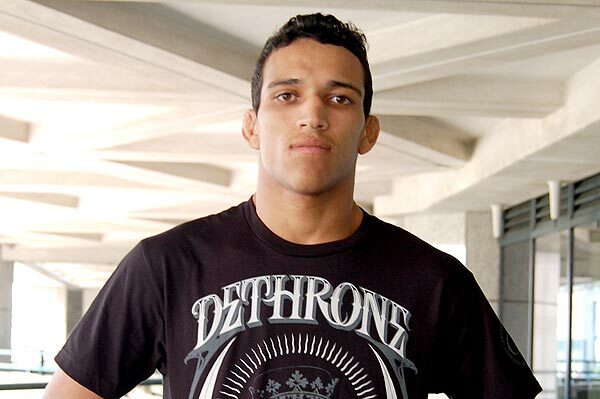 After his fight against Nick Lentz at UFC 132 which resulted to a no contest, Charles Oliveira will now face Donald Cerrone at UFC on Versus 5. According to a source, Charles Oliveira has stepped in to replace Paul Taylor for the upcoming UFC on Versus 5 against Donald “Cowboy” Cerrone. Paul Taylor backs out of his upcoming match due to undisclosed injury. Charles Oliveira will replace Paul Taylor just two weeks after his match against Nik Lentz in Pitsburgh at UFC on Versus 4, which was declared by the Pennsylvania State Athletic Commission to a no contest. Now, Charles Oliveira will step again inside the Octagon to face another dangerous opponent — the former WEC title contender Donald “Cowboy” Cerrone. UFC on Versus 5 will kick off on August 14 at Bradley Center in Milwaukee.